As director of wine at luxury boutique hotel Flemings in Mayfair, Andreas Rosendal helps to oversee the on-site restaurant, Ormer Mayfair, and the 1930s bar, Manetta’s. 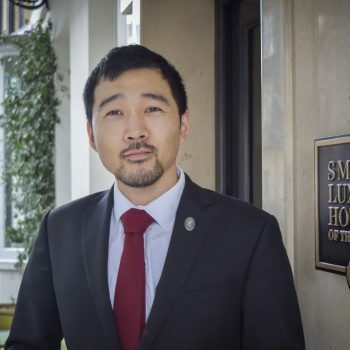 Starting as a sommelier at Sigtuna Stadshotell, which claims to be Sweden’s smallest five-star hotel, he moved to Norway in 2009, where he was appointed restaurant manager and head sommelier at Michelin-starred Haga Restaurant in Oslo, with a wine list boasting 1,200 bins. Arriving in the UK in 2011, Rosendal went straight in at the deep end, becoming assistant head sommelier at the two-Michelin-starred Greenhouse restaurant in London, which has in excess of 3,500-bottles on its wine list. In 2012 he joined two-Michelin-starred Restaurant Sat Bains in Nottingham as assistant head sommelier, during which time he completed his Court of Master Sommeliers’ Advanced Sommelier Diploma. Two years later he returned to London, becoming head sommelier at The Westbury’s Michelin-starred Brasserie Chavot. In 2016, Ormer Mayfair opened, after a £16 million refurbishment, joining as head sommelier and later promoted to director of wine. To be honest, I kind of slipped into this profession by chance, but there are two people who have inspired me to become a better sommelier. First, there is Ronan Sayburn MS, who got me into the path of Court of Master Sommeliers – he was my first ‘celebrity somm crush’ and is still an inspiration. Also Laurent Richet MS, my mentor and friend. Without him I would not be where I am today. Watching the people you work with becoming better, achieving their goals and gaining their qualifications on the way. Watching them grow and become ready for the next challenge makes me proud. I’ve become pretty keen on kombucha recently. On my first day of my first job (ever), I dropped a full bowl of warm gravy on the back of a woman. I still remember her very loud and very long scream and the faces of 100 people looking at me. A generic Alsatian Riesling from Trimbach. It didn’t really spark my love for wine but it really opened up my eyes to it. It was the first bottle I had ever bought and read a lot about it in advance as I had this book called Grapes & Wines by Oz Clark. Being a newbie, I didn’t like the wine at all. It was way too acidic, but the flavours and aromas I had read about were all there. 1984 La Tâche from Domaine de la Romanée-Conti. I was born in the same year, which also happens to be one of the worst vintages in the history of wine. But still, this bottle is by far one of the best I’ve ever had, which says quite a lot about DRC’s commitment to quality. Complaining about a wine after half of the bottle is gone. I would have to say Sat Bains. I very much admire his dedication to his restaurant, and how he strives for perfection. What’s your ultimate food-and-wine pairing? Foie gras with some bread and a bottle of Scharzhofberger Riesling Auslese. I’m fascinated by numbers, equations and statistics so perhaps a mathematician. I served the Swedish Royal family at the Nobel Gala dinner. It was a nerve-racking experience, and my hands were shaking the whole time. But it was an amazing experience. What makes you most proud to be a sommelier in London? The fact that you become part of a special group who are always there to help and support. It doesn’t matter what your position is, in the end we all have each other’s backs.